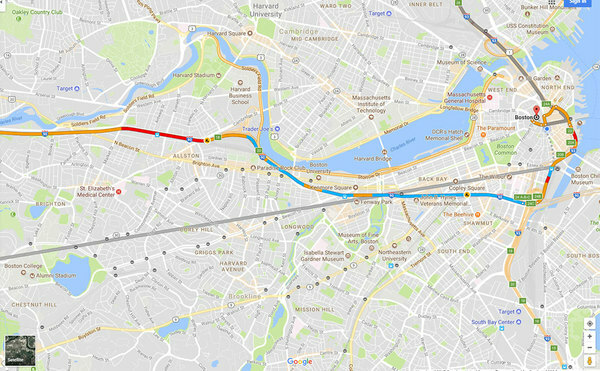 While workers rebuild the Commonwealth Avenue Bridge, Interstate 90 is reduced to two lanes of traffic each way through Boston. 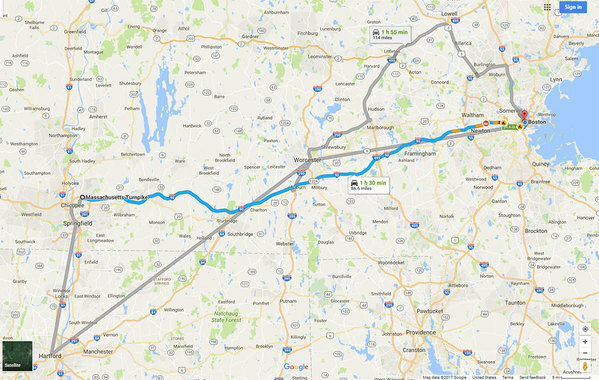 How long is your commute taking on the Pike? Which alternate routes are you taking? Route 2? Storrow Drive? Memorial Drive? Follow traffic updates below. 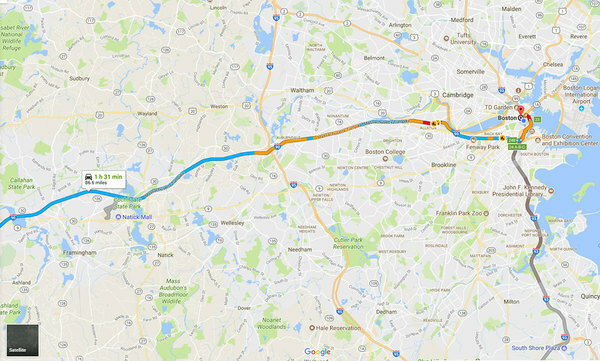 Google map traffic update as of 8:45 a.m.
A look at the traffic along the Mass. Pike at 8:28 a.m., via Google Maps. 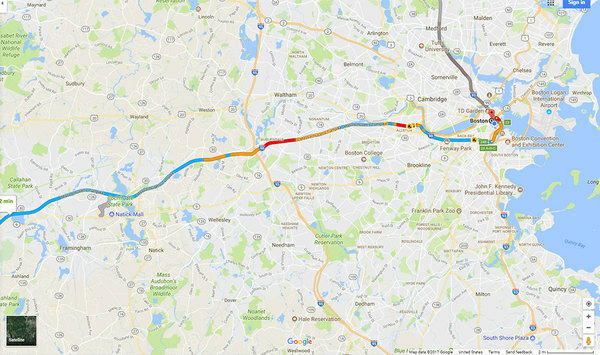 A look at traffic along the Mass. Pike at 7:45 a.m. Wednesday, via Google Maps. A look at traffic along the Mass. Pike at 7:25 a.m., via Google Maps. 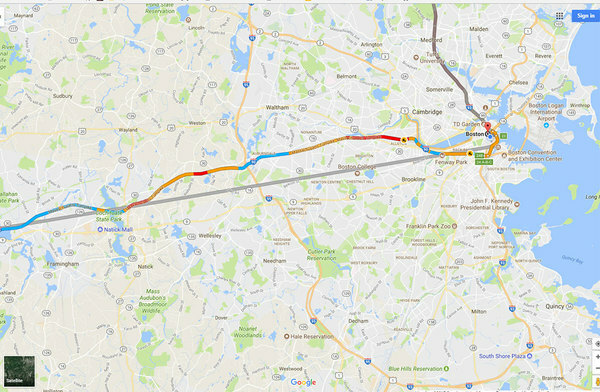 A look at the traffic along the Mass Pike on Friday at 7:38 a.m., via Google Maps.